Raymond Neirinckx is a Rhode Island activist. Raymond Neirinckx joined the School of Continuing Studies in 2013 at Roger Williams University, as an adjunct faculty member. He is a Rhode Island native and a graduate of Rhode Island College with a degree in Sociology and a master's in Community Economic Development from New Hampshire College. Mr. Neirinckx is currently the coordinator of the Office of Community Development and the Office of Homeownership for the State of Rhode Island Housing Resources Commission. 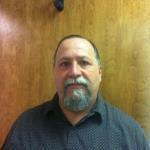 He has been active in the field of community economic development for over thirty years. In 1991, Ray Neirinckx, Rhode Island was one of several hundred Communist Party USA members to sign the a paper "An initiative to Unite and Renew the Party"-most signatories left the Party after the December 1991 conference to found Committees of Correspondence. Ray Neirinckx, Rhode Island, was on the list. On March 30 2002 the Communist Party USA paper People’s Weekly World called for a national holiday in honor of late Farm Workers Union leader Cesar Chavez. The article was followed by a long list of endorsersincluding Raymond Neirinckx, Almost all endorsers were confirmed members of the Communist Party USA. 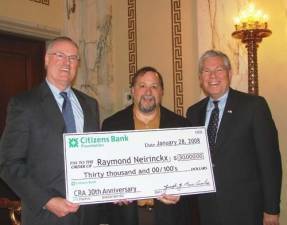 In 2008, Citizens Bank Foundation granted Ray Neirinckx $30,000 in honor of the 30th anniversary of the U.S. Community Reinvestment Act. Neirinckx is the statewide coordinator of both the Office of Homeownership and the Office of Community Development & Technical Assistance for the R.I. Housing Resources Commission. He will award the money to a charity of his choosing. The Community Reinvestment Act ended this practice by obliging banks to pursue lending opportunities within their local service areas, which prevented banks from taking a community’s deposits while ignoring that community’s needs. Neirinckx has counseled nearly 1,000 individuals facing mortgage foreclosure and is "actively working to find a solution to the foreclosure issue Rhode Islanders face today". This page was last modified on 9 November 2014, at 08:44.